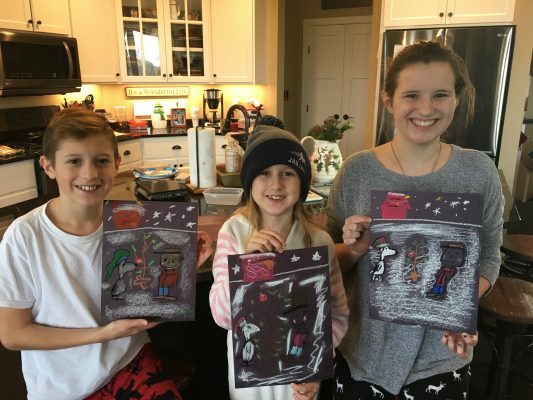 Join the families who are discovering the impact Morning Time can have on their homeschools. Morning time began for us quite practically as a way to “get it all done.” Over the years as it has blossomed, and while it is still very practical — a place for learning states and capitals, the planets or parts of speech-it’s also where we put in fun-the Valentine puns, YouTube science clips, and inside family jokes. We pray. We read. We memorize poetry, hymns, and scripture, and I love knowing that Morning Time is also the place I plant seeds that will fruit in the future. I am a Type A person! I like my checklists and my planners. I felt like our homeschool day had become too much about how many boxes I could check. The thing is..I wasn’t getting to the things that I valued for my children. We weren’t having time for reading, memorization of scripture and singing hymns. We didn’t have time for poetry. Truth, goodness, and beauty were missing. Morning time has changed all of that. For almost five years now, we start our day with a hymn, prayer, and rich memory work. We have read aloud time in the morning. Math can wait! It sets the tone for our day. It encourages us to think on what is truly good. It makes the math lesson a lot more pleasant when our hearts have been focused on what truly matters. 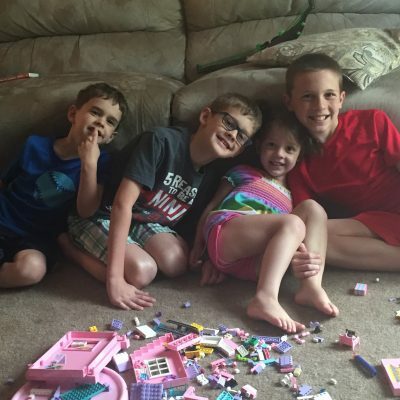 Pam’s blog and podcast have been a huge encouragement for our family to keep plugging along. Morning time is both the appealing appetizer and the decadent dessert of our day! I love how it sets our moods, getting us ready for the rest of the day. It tickles our appetites! It feeds beauty in our souls and gives us so much joy together. It is just my 9yo daughter, Sara, and I together and it has certainly helped us get established in moments that build memories. She loves poetry (we are using IEW – just started it a week or so ago) and Shakespeare (utilizing Ludwig’s phenomenal book). I love that I can tailor it to what we are studying in our CC community as well as pull in things we discover on our beloved tangents! Recently, after learning “Ooey Goey,” we started a whole little study on WORMS! I pulled in the Chrisitan Liberty Press nature reader (great section on worms in one of those gems), ran to Wally World for come Canadian Nightcrawlers, and we were off. Thank you so much for all of the inspiration, support, and ideas. Your articles are often timely, bringing encouragement to my soul when I get weary. With 5 children (10 & younger), life is anything but predictable. But when all of the children gather around our dining table for the good and beautiful things, we have stability. They know the rhythm of that special time. My school-aged children get a break from “work,” yet our littlest feel like they are included in school. It’s a blessing to be able to fill the age gaps with something we can all learn and appreciate together. As a military family, with many moves (a few overseas) under our belt and a lot of shift and change it was time for a different pause. We were in a new home again, decided to homeschool and I was introduced to Pam’s website and Morning Time wisdom. This Truth, Goodness and Beauty that we began our days with felt exactly like an extension of what I already believed and knew was good but being intentional about making it happen as a ritual was the key to the peace we needed as we began a new life in another new place. It has been the key to beginning our day and helps the rest of our day flow better. We can definitely say that we are “Better Together” because of this! Thank you! We’ve always started our school day with Bible and prayer, but it’s only in the last few months that I’ve started to add other things to our morning routine. I’m still figuring out what works best, but at the moment we begin our morning time with prayer, Bible reading, and a hymn, and include our foreign languages, recitation, folk song, picture and composer studies. 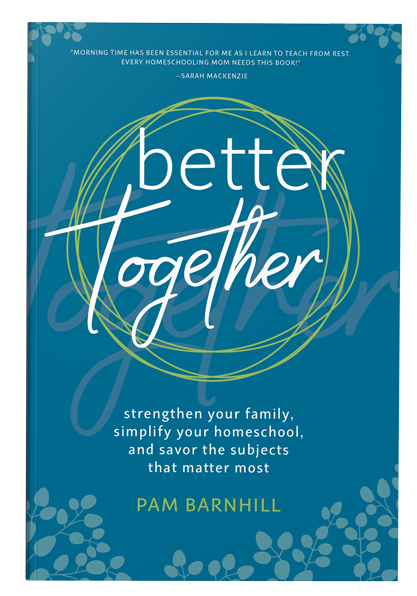 After reading Better Together, I have so many more ideas I’d like to try. The idea of adding something liturgical is appealing (and a new idea for this Baptist momma) so just this week we’ve added “God is good (All the time); All the time (God is good)” to start off our morning time, and ending off by learning the Doxology. My children love that we’ve added that. What I love most about Morning Time is that we get to start our school day together, relaxed, and in God’s Word. 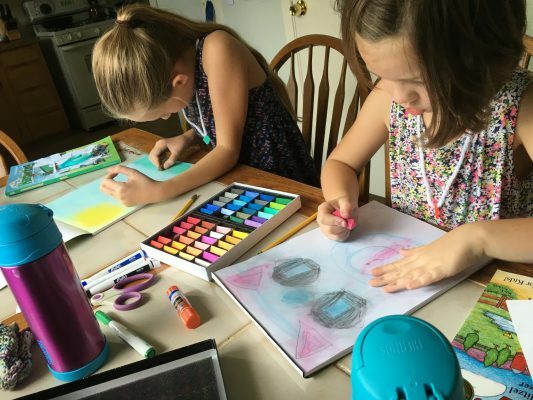 I’m a homeschool graduate who is now homeschooling two sweet girls of my own. Somewhere around the time my firstborn reached 3rd grade and the youngest was starting real school, I began to really burn out. We were falling behind (for real) as I swung too far toward relaxed, only to get super anxious because I knew I wasn’t giving this calling my best effort. I cannot remember where I first heard of Morning Time, but I ATE UP everything I could find on this topic!! It awakened something fierce and hopeful in my soul….. I saw, maybe for the first time, a vision for what our learning adventure *could* be. That was 3 years ago, and I truly believe that knowing where I was, we may not be still homeschooling today if we hadn’t adopted this practice. Morning Time gave me a wake-up call to see the treasure of time I have with my girls- time to engage in dwelling on what really matters: Truth. Goodness. Beauty. Where the academics alone were destroying the delight, Morning Time gave us a space to soak it in. I am forever grateful, and I will never look back. 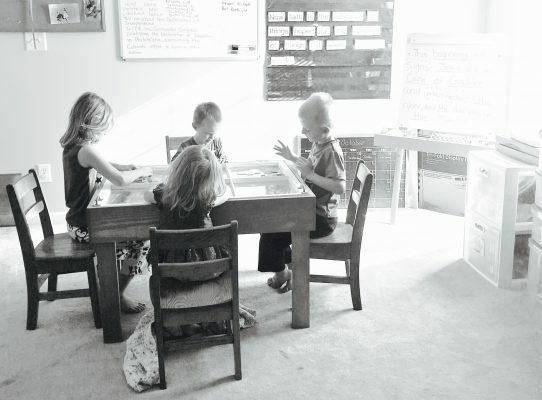 Finding Morning Time was the best thing that ever happened to our homeschool. Some days, we only do Morning Time. Read Alouds are the central part of our time together before my son completes any independent work. 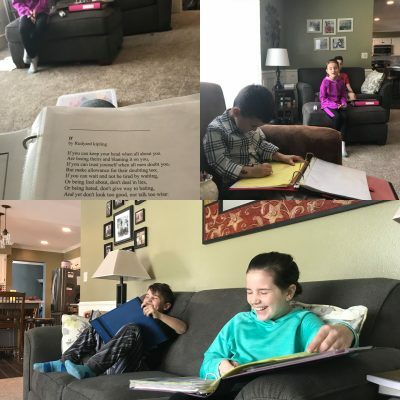 We sit on the couch, meditate, then rotate through books, picture study, memory work (which my son actually doesn’t view as work at all,) music, and Latin. 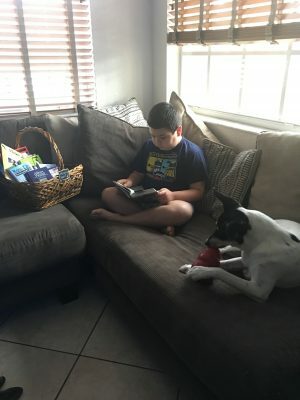 When we sit together and enjoy our basket, I feel that my son is actually learning and retaining things that are close to both of our hearts. No more tears, no more struggling to get started, we are beginning our day with something joyful and engaging. Like so many others, we had been doing “morning time” for years but not calling it that. The difference was it wasn’t organized, and most of the time went WAY too long and ended in crying. Then I discovered Pam and Your Morning Basket and her morning time plans. Wow!! What a difference!!! Doing morning time in an orderly fashion, consistently, and with joy every day has made a HUGE difference. Also, STARTING the day with the things we love is a game changer for this family. I would “save” those things till everything else was done and by the end of the day….NO ONE wanted to look at each other let alone do something else. 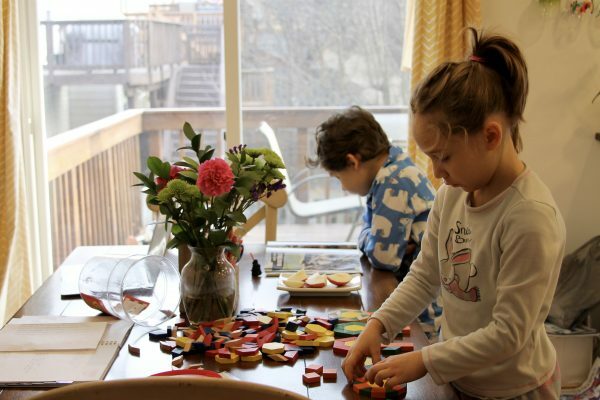 Morning Time……well it totally changed this homeschool for the better! Our morning time adventure began while we were in the process of adopting three.l children. Their lives were in an upheaval during the transition and morning time began as a way to bring consistency to their days. When I noticed that our time together was the most peaceful part of our day, I wanted to take advantage of that. I found Your Morning Basket and decided to fill the time with rich music, books, and art. We began praying together, singing hymns, reading God’s Word and listening to beautiful music. We are still in the middle of our morning time adventure but I know, deep in my heart, this time together is strengthening the bond between them as siblings and us as a family. This time together is lovely and peaceful no matter what the rest of the day brings. I started Morning Time (although I didn’t call it that) when my oldest (who is now 8) was 2. I would plop him in his high chair for breakfast and read poetry and read alouds, sing a hymn, and go over Bible verses. I now have added three more children to our routine. We now have an elaborate hour-long Morning Time. After Morning Time is done, I feel like the rest of the morning doesn’t ever go as smoothly as that special time we have together as a family. Morning Time was our healing time! I stumbled upon “Your Morning Basket” on an aimless late-night Pinterest search one night a couple years ago. For some reason, days went by and I could not get this idea out of my head. So, I read the e-book and got my Morning Time binder in place. It was in no time after implementing this practice that I realized this was exactly what our family needed. I have a lot of health issues, I especially struggle with neuropathy and Lupus. Back when I stumbled upon Morning Time, I had been in a lot of pain and was basically pushing my family slowly away. The way we were doing things just was not working out. Wake up. Do math. Do language. Do science. And so on. 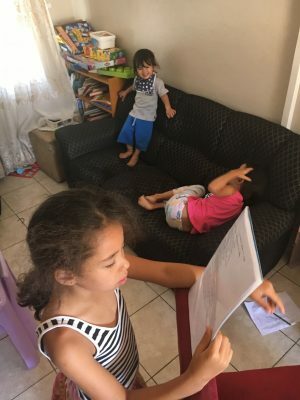 Most days by the time we got through the basics I was in too much pain from the struggles of the day to do the thing I love the most, read aloud to my kids. Morning Time changed everything. We start our days with not only what I love the most: reading aloud, but what my kids love the most: my attention. We all get something from it! Over the past couple years our Morning Time is constantly evolving as each season of life changes. Sometimes we have had a short 30-minute session, for a while I had our Morning Time broken up into 6 sections throughout the day, or right now we are doing best with a long stretches out hour an a half Morning Time. 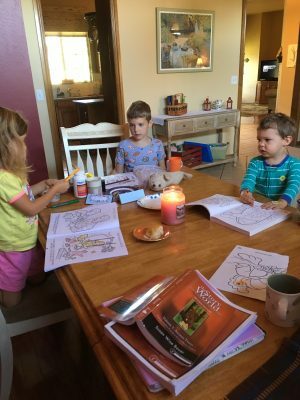 I can not speak highly enough of Morning Time, it has not only saved our homeschool but it has saved my relationship with my children! 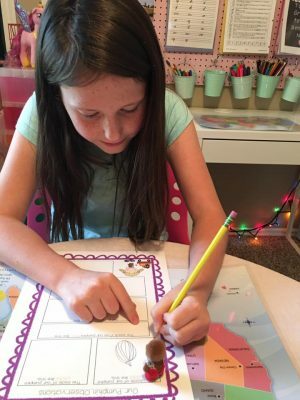 As a formerly classroom teacher, who loved school both as a child and as a teacher, when we started homeschooling it was really me trying to “do school” at home. It wasn’t bad, but I felt like something was missing that I had been hoping to accomplish with my kids. 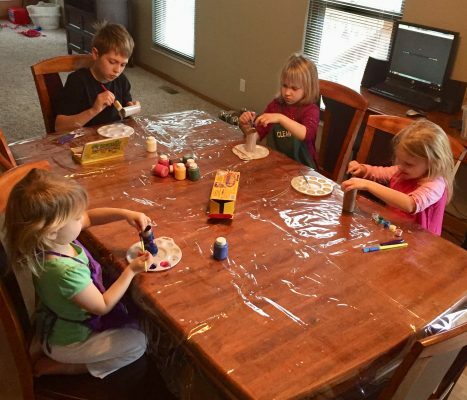 I wasn’t exactly sure what it was but I felt underwhelmed with our homeschool time. It was good, but not great. About two years ago I first heard about Morning Time. It was exactly what we had been missing. 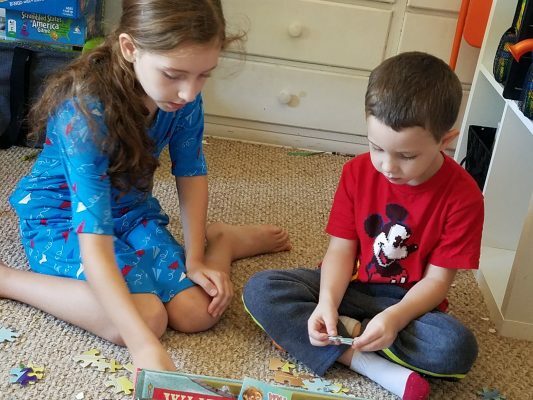 Even though I am constantly changing and tweaking exactly what we’re doing during our Morning Time, the main theme is that we are making memories together while learning together about things that are full of truth, beauty, and goodness. We’re learning poetry, memorizing catechisms, studying great art and artists, and of course reading fabulous books together. It has absolutely become my favorite part of our homeschool day!